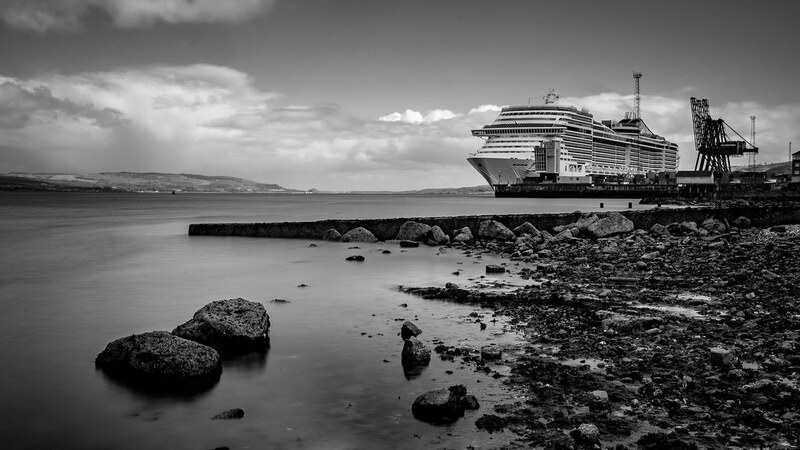 Flickr member Steven McDougall posted this fantastic image of the MSC Splendida cruise ship docked on the coast of England, taken with his Fuji X-T1. What makes this image interesting to me is the container cranes next to a docked passenger ship, and the foreground rocks. That ship must need deep water to dock so seeing shallow water up close and the ship docked in the background makes for a nice contrast.